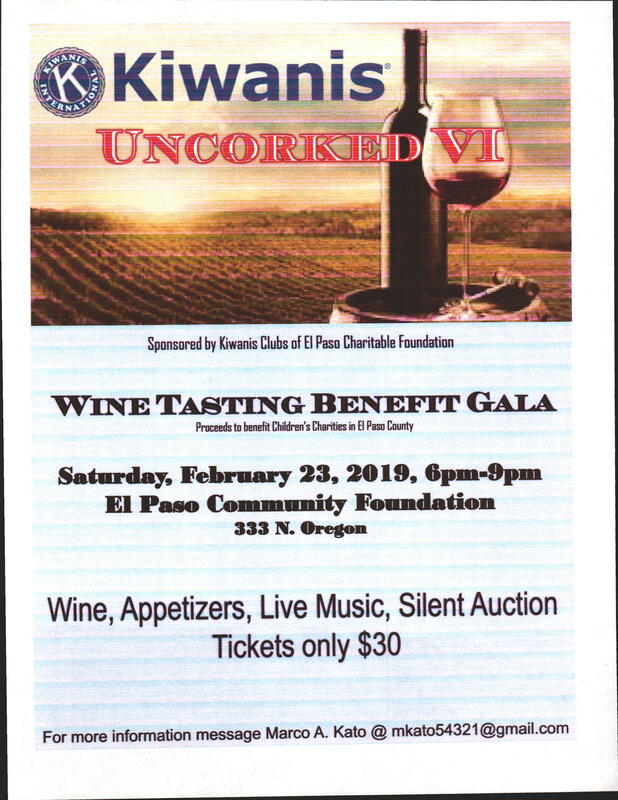 The Kiwanis Club of El Paso Charitable Foundation is a big supporter of BASE Play RBI which we wrote about the other day. I am told that this event will feature mostly Texas grown wines. For more information or to buy tickets contact Marko Kato at mkato54321@gmail.com. This entry was posted on Thursday, January 24th, 2019 at 7:32 AM and is filed under Uncategorized. You can follow any responses to this entry through the RSS 2.0 feed. You can leave a response, or trackback from your own site.